1. Buyer's premium is 18% for weekly auctions or 22% for Catalog, Waverly & Collector's series Auctions. An additional 4% premium is added when paying with a credit card or debit card. 7. 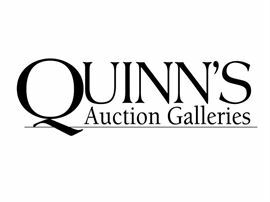 Buyer's premium: A fee of 22% for Catalog, Specialty Sale and Waverly Auctions or a 18% fee for General Auctions will be added to the hammer price. An additional buyers premium of 4% is added to all purchases paid for by credit or debit card.